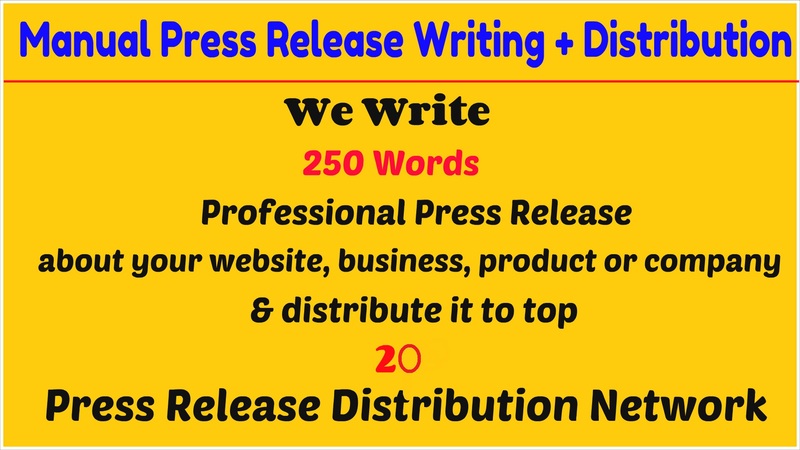 We will write a 250 words professional press release and distribute it to top 20 Press release distribution networks like amazines.com, pressreleaselive.com, webnewswire.com etc. We don't offer any premium distribution. Exact 20 live links in the report file. Note: We don't grantee for ranking or indexing. We don't provide paid networks. I will write a professional press release and distribute it to top 20 press release network is ranked 5 out of 5. Based on 470 user reviews.